Networlding authors represent the world’s leading authorities on a wide-range of topics. Their vast experience and expertise have been recognized by many industry leaders so you can be confident that our writers provide you with quality work. Diane has served as a leader in market communications, customer experience strategy, and innovation culture building for over 20 years primarily in the healthcare industry. She is nationally recognized as a content expert connecting brand promises to authentic customer experiences. She was one of the first Chief Experience and Innovation Officers in the US healthcare industry at Memorial Health System and Beacon Health System, South Bend, IN. The core premise of this book is that whether you have 10 or 10,000 staff members in your organization, leaders have a foundational responsibility to ensure that workers at all levels are well prepared and informed to understand their influence on customers. This book was written to, first, clearly outline the benefits of a workforce-wide Chief Moment Officer strategy and, second, to offer many ways to bring the strategy to life depending upon the current state of a company’s customer experience performance. 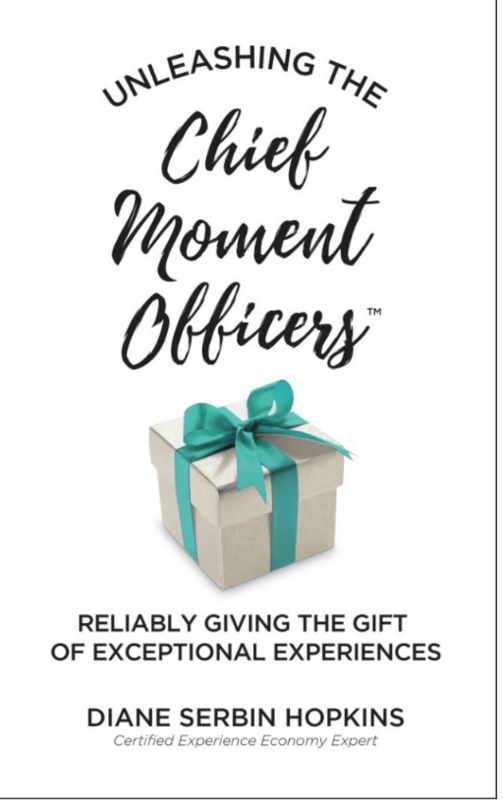 If you are ready to explore the power of moment by moment, person by person customer engagement, this is a quick and rich guide to ways to stretch your thinking and stretch the impact all staff can have to exceed the expectations and imagination of current and new customers. Eric P. Canada, Blane, Canada Ltd. is a recognized authority on economic development marketing and business retention and expansion (BR|E). A psychologist by training, he is an entrepreneur at heart and a developer by choice. Before consulting, he led local, regional, and statewide economic development organizations and programs. Today, he brings a fresh perspective to strategy and planning for clients. Canada has a reputation for leadership and innovation. He is the developer behind the award-winning Synchronistic Suite software designed to help economic developers manage client relationships, business retention and expansion, prospect tracking, and workforce development programs. He created national BR|E key performance indicators. He founded the ProLearning Lab to insure high quality economic development education without commercial bias. He is the author of Economic Development: Marketing for Results! and Marketer’s Planning Guide, and has published eight research white papers on BR|E and economic development marketing. Over 12,000 economic development professionals have attended Canada’s workshops. He has taught at International Economic Development Council, Economic Development Institute, 7 Basic Courses, Business Retention Expansion International, and Community Development Institute as well as University of Southern Mississippi’s master’s economic development course. I didn’t set out to write Economic Development for the Team. It came to me. The book came about through a training assignment. My client had a group of energetic young professionals. But, they were having trouble seeing the connection between their skills and economic development outcomes. To complicate matters, some associated had years of experience. They needed to be engaged as well. My situation was different. I grew up in economic development. I painted my first spec. building while I was in high school. Attending the grand opening of a small plastic’s firm in that building was hands-on economic development. I was hooked. My first job out of college was executive director of a rural Chamber in Southern Indiana. There I learned how much I did not know and the importance of my Board and volunteers. They taught me about teamwork. Now, after 25 years of work in and consulting with all levels of organizations, I have seen time and again the difference teamwork makes. We hire/select our team for their energy, enthusiasm, expertise, not their econ dev expertise. But, when they show up for work on DAY ONE then, their sense of ECONOMIC DEVELOPMENT becomes critical. For the Team fills a training void. Take your Board members for example. A bright, engaged business executives agree to serve on the Board. Then, when it comes to board meetings, they sit stone silent. Why? They are playing catch-up. They are trying to figure out their role, the organization, AND economic development. For the Team can help them bridge these gaps quickly. Common problems are easy to avoid if we know they exist. Take branding. Not every community needs a branding initiative. A strategic plan with 25 objectives and no priorities is a shopping list, not a plan. These are avoidable, survivable problems. Some of many covered in the book. But, the most critical challenge I see in economic development today is vision. Communities undershoot their potential by thinking small. We are conditioned by short-term, transactional thinking. It’s all about the deal, the next project, the job total. The real opportunity is a long-term, aspirational approach to economic developments. Success is defined by building the community our children’s children will want to live in. That will not happen by accident. 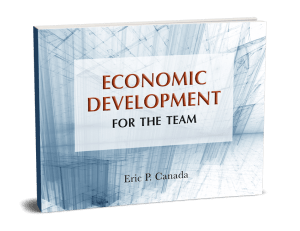 With Economic Development for the Team, I wanted to help build cohesion and fuel success by bringing the team together around a common understanding of economic development. Where they go from there is up to them. But with a shared understanding and teamwork, great things are possible! Joseph M. Bradley is currently the Global Vice President of the Digital & IoT Professional Services Organization at Cisco and Senior Research Fellow for the Global Center for Digital Business Transformation at IMD. In these roles, he leads a team of multidisciplinary experts and technologist who help CXOs and government leaders transform into digital organizations. In addition to holding top executive positions with Cisco, his professional history also includes President at Uptake Technologies, Executive Vice-President at HCL Technologies, and Vice- President & General Manager of the Data Communications group at AT&T. He earned an economics degree from the University of California at Berkeley. Joseph’s innovative thought leadership, digital management expertise and engaging speaking style have made him a highly renowned and highly requested public speaker, worldwide. Joseph has built a stellar reputation as the person to turn to when companies need to know how to create systems where people and technology don’t just coexist, but work to benefit each other. Such dynamic interaction has been his lifelong passion. 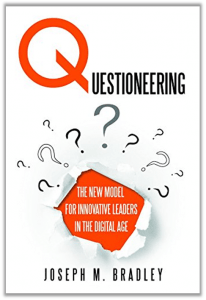 Questioneering provides a new way of approaching business problems and reaching breakthrough innovation. It’s filled with usable models and frameworks to lead you to create high-value questions, which leads to high-value answers for your current and future business issues. James currently serves as EVP & President of LegalShield Solutions (the company’s B2B focused unit) with oversight for the affinity, brokerage, group, small business and national accounts divisions in addition to developing new, innovative channels and products. Prior to joining LegalShield, James served as the President of Allstate Affinity Solutions where he launched innovative partnerships with Bass Pro Shops, United Airlines, Intercontinental Hotels Group, Office Depot and the Fuel Rewards Network, differentiating Allstate in the insurance industry, driving customer acquisitions, loyalty and revenue growth. Prior to Allstate, James served as a Senior Vice President at JPMorgan Chase Card Services where he was responsible for Affinity & Co-brand partner relationships. His responsibilities included profitable growth, marketing, partnership rationalization and the oversight of a number of partnerships that included AARP, AAA, La Quinta Hotels, New York Life, Notre Dame, Subaru, and the Military branches of service. During this time he was able to drive significant profit increases through increased consumer acquisitions and retention, product improvements, increased wallet share and improved underwriting. Prior to that, James served as the HR Service Delivery North America Executive, responsible for providing seamless services to employees, managers and HR business partners. In this capacity he played a leadership role in mergers, acquisitions and divestitures; the establishment of a captive off-shoring hub in India; and numerous operational and technology transformations. With over 20 years of professional experience, his areas of leadership experience include Revenue Generation, B2B relationship development, Finance, Technology, Operations, Human Resources and Services, with experience in the Financial Services, Healthcare and Retail. Working as a motivational team leader and trainer, Mike has become skilled in developing, coaching, and mentoring a sales force. This has made him accomplished at identifying talent, placing professionals in positions that ensure organizational success. To date he has trained 750+ sales executives and mentored more than 30 sales managers and has been responsible for producing cumulative revenue of over $1.7 billion. Mike will help you learn how to build sales that last. He will share with you what it takes to create that certain something that means the difference between connecting with someone for a one-time opportunity and connecting for a lifetime of opportunities. Mike will take you through one great story after another with simple yet powerful steps to create amazing sales results. Todd Romer is the founder of Young Money Media. His passion for financial education and capability for today’s young adults stems from his personal experiences with earning, managing and investing money from a lawn mowing business he held in high school and college at the University of Dayton. After finding very little information and resources about personal finance, money and investing for young adults while in college, Todd launched Young Money magazine and youngmoney.com in 1999 to provide young adults with relevant personal finance and entrepreneurship content. From 1999 – 2009 nearly 7 million copies of Young Money magazine was published and distributed on 225 college campuses. Since 2010 the Young Money LIVE campus event and speaking tour has visited over 225 colleges and universities across the U.S. with Todd presenting the 5 Simple Steps to Create Financial Health and Wealth Now. Do you think you must have the highest level of education or the best job to be financially successful? Or to have come from a wealthy family? Are you tired of money being on your mind 24/7? 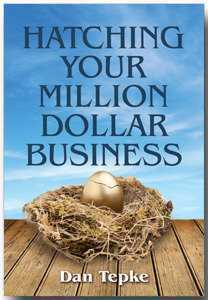 If you want to have a tremendous jump start on your personal financial success then stop everything and read this book. The Young Money 5 Step Plan is for anyone who wants to dare to dream and create financial health and wealth over time in a very simple manner. Whether you are in high school, in college or in your 20’s you can master this 5 Step Money Plan and live a much fuller and richer life. So let’s do this! Paul M. Rand is the founder, president, and CEO of Zocalo Group, one of the world’s leading digital, social media, and word of mouth marketing agencies and one of the fastest growing companies inside Omnicom Group. He served as president of the Word of Mouth Marketing Association (WOMMA) and is on the board of the national Council of Better Business Bureaus and vice chairman of the Dean’s Advisory Board for DePaul University’s Driehaus College of Business and Kellstadt Graduate School of Business. Dan Weinfurter is the managing partner of Chicago Growth Consultants and serial entrepreneur with more than 25 years of experience. He has been the founder and CEO of two private equity-backed businesses and was the ‘number two’ executive for a third, all three of which achieved high rankings on the Inc. 500. Parson Group, started from a business plan in 1995, landed the coveted #1 spot on Inc. Magazine’s ‘Inc. 500′ list in 2000. He has provided both consulting and interim management to a variety of both start-ups and large public companies. He currently serves on the Boards of Colonnade Advisors and ThermoFluids, and was formerly a mentor for the Clinton Foundation’s Institute for Entrepreneurial Excellence. He has been featured or quoted in Inc. Magazine, CFO Magazine, Chicago Tribune and The Chicago Sun Times, BBC Online, the New York Times, and Wall Street Journal among others. 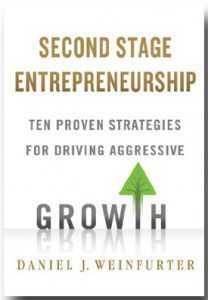 “It’s a must-read for every entrepreneur. Dan Weinfurter knows from his own experience and that of the scores of business owners whom he’s advised that a great idea or even a proven business model is not enough. He drives home the importance of advance planning and great personnel. If you want to know how to expand your business without giving up control, Dan tells you how. He makes it clear that, if you want to do what you like, then you need to do what you’re good at and let others do the rest. It’s a 180-page MBA.” – Christopher G. Kennedy, Founder and Chairman of Top Box Foods and Chairman of Joseph P. Kennedy Enterprises, Inc. 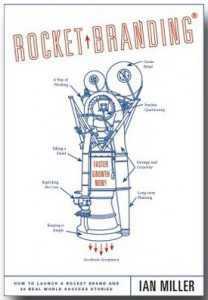 Rocket Branding was designed by Ian Miller an expert brand and business strategist who has spent 35 years working on four continents and over 400 leading product, service and corporate brands representing almost every category, geography and marketing challenge (B2C, B2B, and B2E). Both his successful creation and global launch of the NutraSweet brand and work with companies like P&G, American Express, Qantas, Coca Cola, J&J, Monsanto, Hewlett Packard, Harley Davidson, Pfizer, New Balance, Best Buy, J.Walter Thompson, Ogilvy and Mather have taught him how to get to the real issues fast and get big fresh thinking working quickly in the marketplace. Ian has launched and managed a brand in every market around the world (including Old Spice, Celebrex and three of the four top sweetener brands in the world) and his obsession for growth has enabled him to help build four $1 billion brands, six $500 million brands and many, many others from start up through maturity. Andy has broad expertise in digital strategy, Internet content, online marketing, operations, metrics, affiliate relations and training. He also has strong experience with major media companies such as AOL, Tribune and Clear Channel. Positive team leader and creative problem solver. Andy Friedman Just like any of us, Andy Friedman was working through his career when he suddenly found himself over age 50 and without a job. His company had massive cutbacks, and that was that. 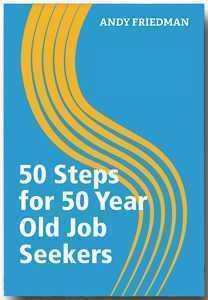 Older job seekers normally spend more time out of work and have more difficulty adapting to the new world of social media, social networking, e-resumes and interviewing. It’s not unusual to be out of work for a year or more. Many older workers are afraid to leave dead-end jobs for fear of not finding anything better. Land a better job more quickly. Create resumes that get noticed. Network like a pro even if you are shy. I have worked with Sarah and seen, first-hand, how she can take the wisdom of one of our greatest thought leaders and share with us a process she has gleaned from this wisdom to innovate better than we ever thought possible. 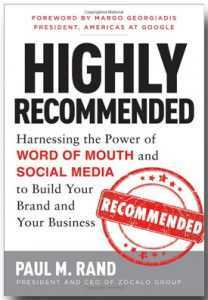 Although I did not have the pleasure of working with Sarah directly on her book, I chose to list her here as an author I recommend highly for organizations looking for the best in innovation experts. Sarah Miller Caldicott is a great-grandniece of Thomas Edison, and a seasoned executive with years of hands-on experience driving growth in new and existing businesses. Coauthor of Innovate Like Edison, a groundbreaking book on Thomas Edison’s innovation best practices, Sarah inspires audiences around the world through her keynote speeches and executive programs on how to integrate Edison’s Five Competencies of Innovation in organizations today. 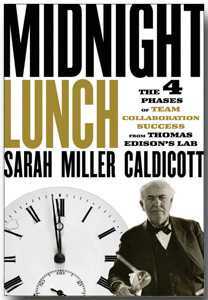 Sarah also advises leaders on how they can use Edison’s time-tested methods to create a culture of innovation, as well as accelerate the development of individual and team capabilities that propel collaboration success. Dan Tepke is a results oriented, consulting veteran who specializes in working with C – Level executives and their teams in developing innovative solutions for strategic opportunities. He has experience across a range of industries, including Education, Insurance, Paper and Packaging, Philanthropy and Not-for-Profit, Transportation, Telecommunications and Venture Capital. Clients served include, Cerulean Fund, CNR/Slimfast, Encyclopedia Britannica, Florida Family Insurance, Golden Rule Insurance, Golden Valley Foods, InterPublic Group, Motorola, Northwest Airlines, OneAmerica Insurance, Santa Fe Railroad (BNSF), Tetra Pak, and U.S. West (Qwest). Dan has over 25 years of leadership and operational experience having served as Senior Vice President and Chief Operating Officer of Golden Rule Insurance Company, Senior Vice President, North Park University, and Associate Dean for Management and Budget at the University of Chicago School of Business. In addition, Dan was a Lecturer in Marketing, and Director of the University of Chicago’s innovative New Product Development Laboratory. He was also co-developer of the Business School’s unique leadership program. He holds an MBA from the University of Chicago Graduate School of Business and a bachelor’s degree from North Park University. Dan currently serves on a number of not-for-profit boards including Galter Life Center and the Albany Park Community Center. I realized I had both the tools and the coaching experience to add value to someone else’s process as the person develops his/her business idea. The need was there. That was evident when I spoke to people who came to me with ideas that were either in complete or not well thought through. If they had the right tools and processes, would that help them develop a solid idea? I looked for available books or manuals to effectively try to walk someone through this exercise– materials that use a structured process, ask questions, and provide examples and practice opportunities. After some investigation, I decided that, indeed, an opportunity was available to add some value within this particular niche. This book is meant for individuals who work alone or either with a few or many others. Its intention is to help those inexperienced in business idea development. 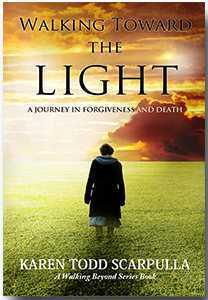 Karen Scarpulla I share my personal journey to find forgiveness while caring for my ex-husband as he died of cancer. I have broken the process of forgiveness into steps that I believe that anyone can embrace. Forgiveness is about releasing from the past and empowering your self to move forward. This year there are a number of new authors coming on board. Stay tuned for new information on them. If you have any questions, just click here to contact me and I will be happy to share all that I can to help you decide if and when you are ready to write your book!